Arvind Kamath was enrolled on 12th June 1993 and has since then practiced before various courts at the original and appellate levels. He regularly appears before the Karnataka High Court, and in the course of practice, he has also appeared before other High Courts in the country and the Supreme Court of India. 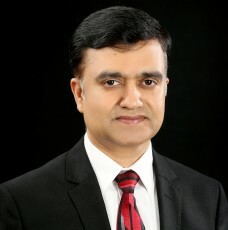 He heads the dispute resolution practice in the Bangalore office. Arvind is a past Assistant Editor of the Indian Law Reports, Karnataka series.